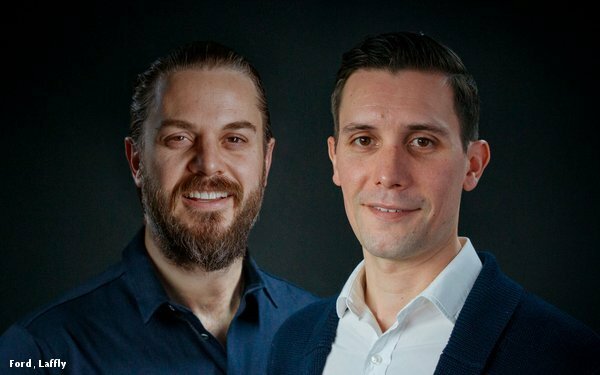 Atmosphere Proximity, the New York office within Omnicom digital agency network Proximity Worldwide, has finalized two senior appointments designed to bolster its strategic and account departments. Mathew Ford joins as director of strategy and Eric Laffly joins as group account director. Both will report to managing director Garrett Franklin. Australian native Ford was previously with Interpublic’s Huge, where he was responsible for overseeing strategy across Chase, Thomson Reuters, Four Seasons, and mattress startup Casper. Earlier he served at Mullen Lowe Profero and Momentum. Laffly joins from IPG’s R/GA and previously drove digital product and service innovation at Wunderman and Digitas working with clients across a range of industry verticals including pharmaceutical/healthcare, financial services and technology.